The Symposium for the Alphonsus “Arrow” Cassell Memorial Lecture Series kicks off the Alliouagana Festival of the Word today in Little Bay. 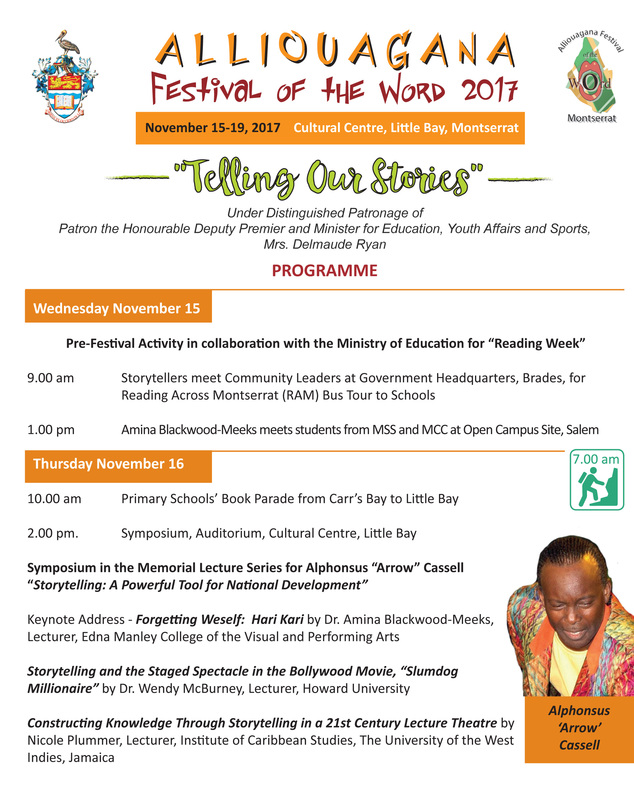 Scheduled to begin at 2PM at the Montserrat Cultural Centre, the theme is “Storytelling: A Powerful Tool for National Development”. The keynote address is Forgetting Weself: Hari Kari by Dr. Amina Blackwood-Meeks, Lecturer, Edna Manley College of the Visual and Performing Arts in Jamaica. 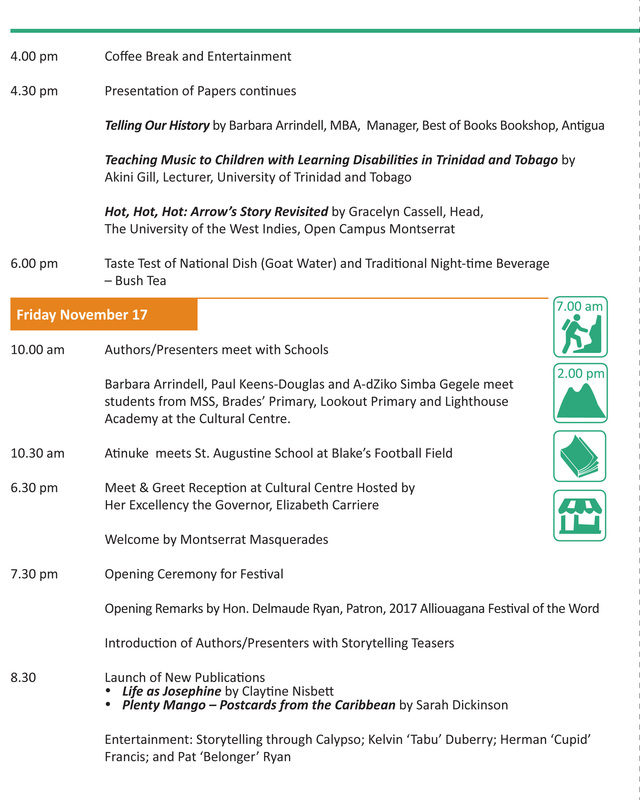 If you are in Little Bay in the morning, stick around for the Children’s Book Lovers Parade which begins at 10AM in Carr’s Bay in collaboration with the Ministry of Education. Visit litfest.ms for author bios and more information on the Alliouagana Festival of the Word.